We specialize in the design and turnkey installation of climate control, ventilation and make-up air systems across all industries. Food, pharmaceutical, and chemical manufacturers are a few of the businesses that have benefited from our services. Complying with all building code requirements, our customized systems provide thermal comfort and improve indoor air quality with minimal operation and maintenance costs. 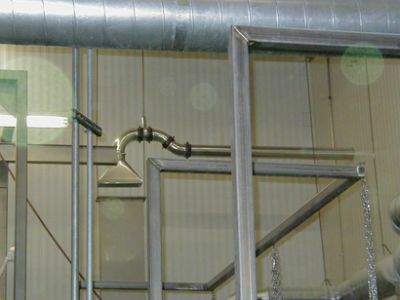 Our dust collection solutions aid in controlling solid particles created in the manufacture of food and pharmaceutical products, mill items, printing, and more. We can create a cleaner and safer environment in your plant by extending, repairing or completely replacing your current system.